This close-up view of Saturn's disc captures the transit of several moons across the face of the gas giant planet. 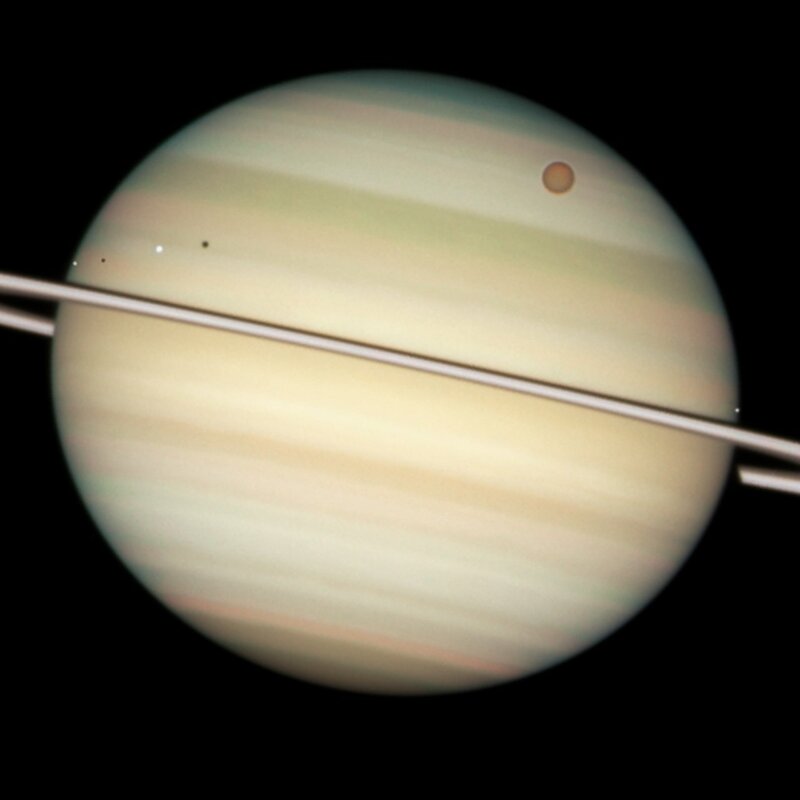 The giant orange moon Titan — larger than the planet Mercury — can be seen at upper right. The white icy moons that are much closer to Saturn, hence much closer to the ring plane in this view, are, from left to right: Enceladus, Dione, and Mimas. 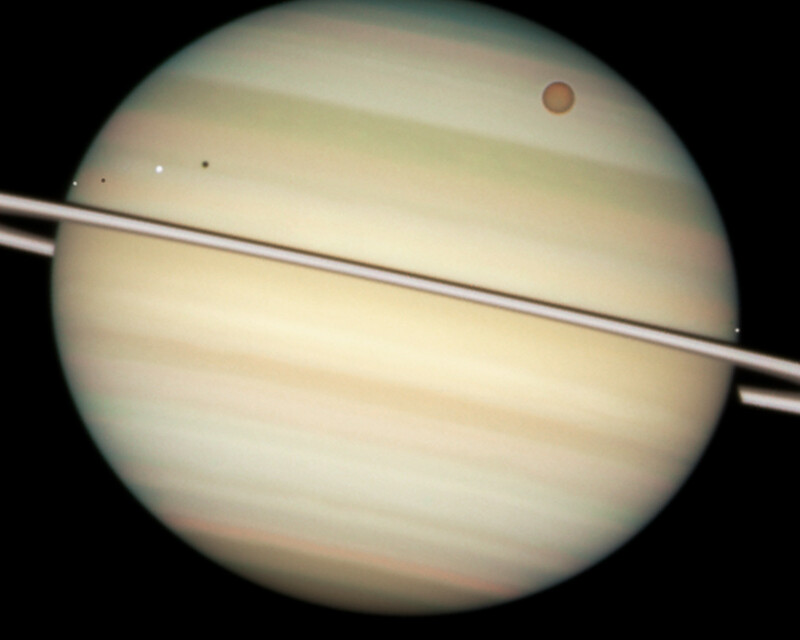 The dark band running across the face of the planet slightly above the rings is the shadow of the rings cast on the planet. 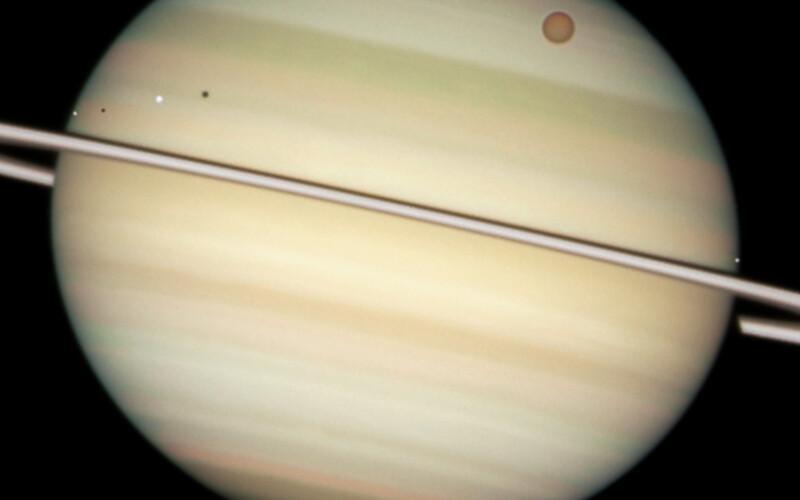 This picture was taken with Hubble's Wide Field Planetary Camera 2 on 24 February 2009, when Saturn was at a distance of roughly 1.25 billion kilometres from Earth. 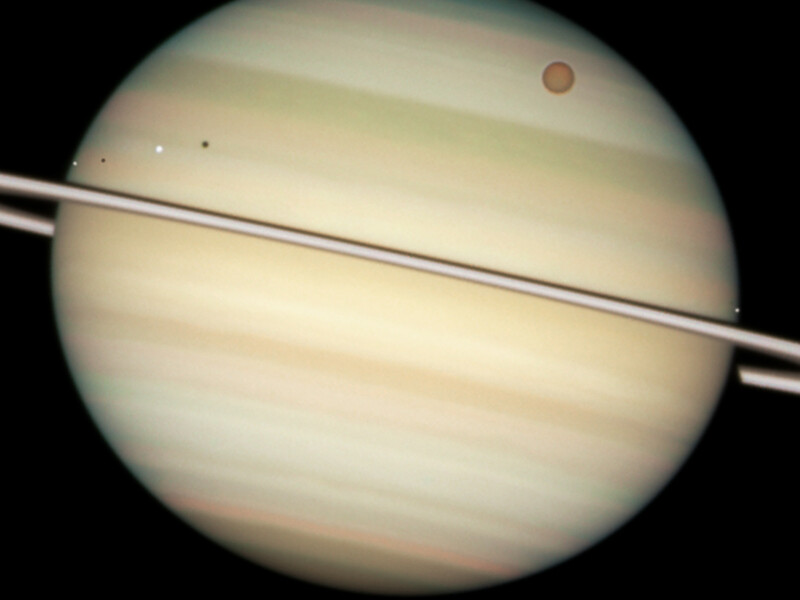 Hubble can see details as small as 300 kilometres across on Saturn.